Do you have a LinkedIn Sales Navigator Team or Enterprise account? If yes, great, read forward! If not, good news! You can try Sales Navigator for free! How can you enable the integration? You should see a toggle switch in the lead view saying "Use LinkedIn Sales Navigator". Integration with LinkedIn's Sales Navigator Team edition provides a couple of great additions to your Leadfeeder interface. Enriched company view: The integration will expand your Company info profile with LinkedIn Sales Navigator's company card. Leadfeeder contacts boosted: Under Contacts you'll find two tabs. One for Leadfeeder contacts and one for LinkedIn Sales Navigator. Under Leadfeeder contacts, you can expand a new view by clicking on LinkedIn icon on the right. 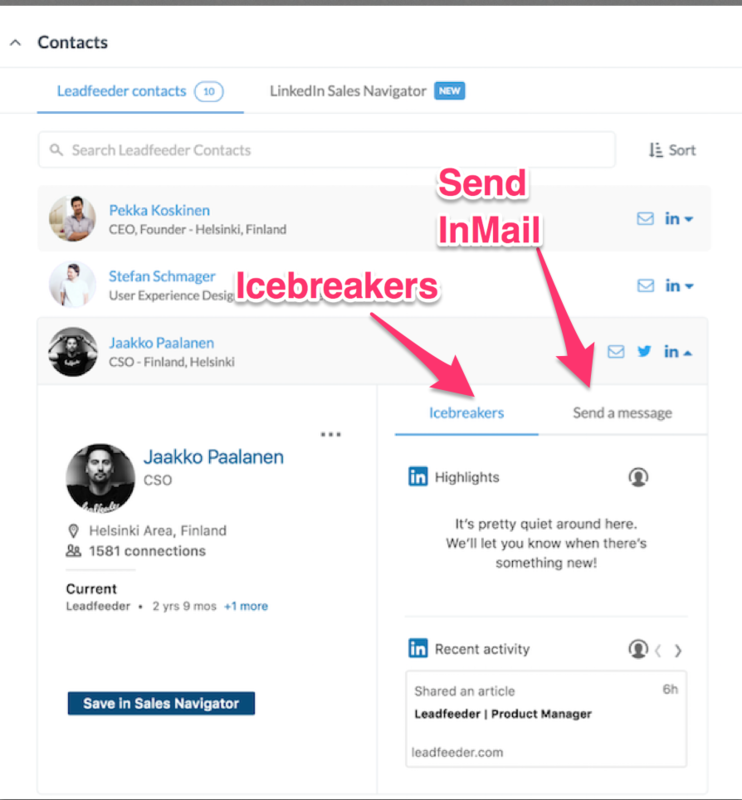 It will show you the contact's LinkedIn profile and give you possibility to monitor that person's recent activities and send InMail without leaving Leadfeeder UI. LinkedIn Sales Navigator view: The other tab under Contacts will provide you LinkedIn Sales Navigator's Connections and Recommended leads views. 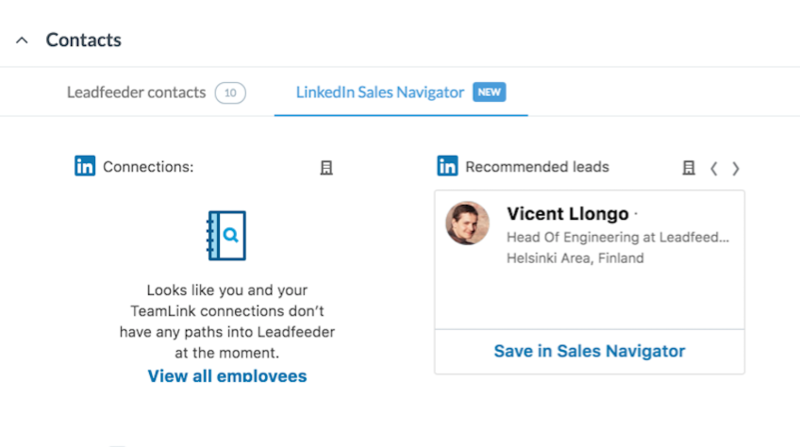 These will help you to look for further connections within your team's connections and ones recommended by LinkedIn Sales Navigator.